Whisk together the ingredients for the filling and set aside. Mix the pasta dough and roll pasta sheets using a pasta machine or as thin as possible by hand with a rolling pin. Bring a a large pot of heavily salted water to boil. Carefully place a heaping teaspoon of filling in rows down the center of the bottom pasta sheet, allowing for at least 1" of space around each mound of filling. Wet the edges around the filling with water and lay a second sheet on top. Seal the edges of each ravioli thoroughly and cut in to individual raviolis. Place finished raviolis on a dry, clean towel or parchment paper. Once all the raviolis are assembled, in a large saute pan saute the thinly sliced shallots in mushroom sage extra virgin olive oil over medium heat. Begin to boil the raviolis in small batches for 2 1/2 to 3 minutes per batch. Flip them to cook on both sides. Remove the thoroughly drained raviolis to a large serving bowl. Allow the shallots to become golden. When the shallots become golden and caramelized add the white wine and reduce by half. Add the cream and simmer for an additional minute whisking to combine. Season the sauce with salt and fresh ground pepper. Pour the warm cream sauce over the the raviolis and toss. Serve immediately. 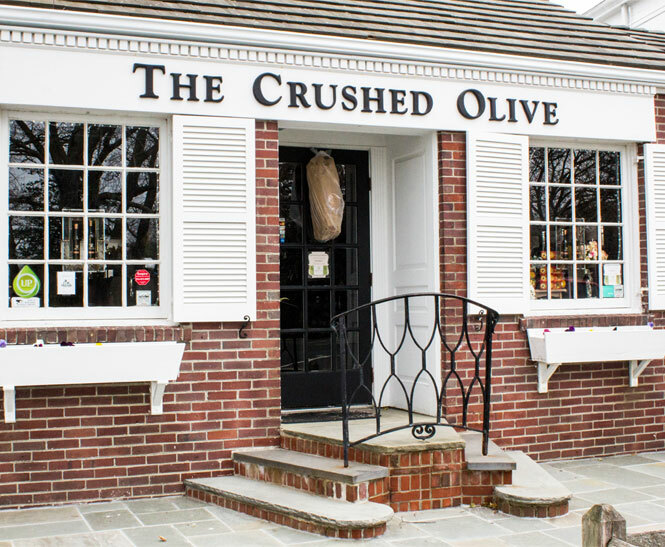 2016 The Crushed Olive™ All rights reserved. Would you like to join our eClub & newsletter?